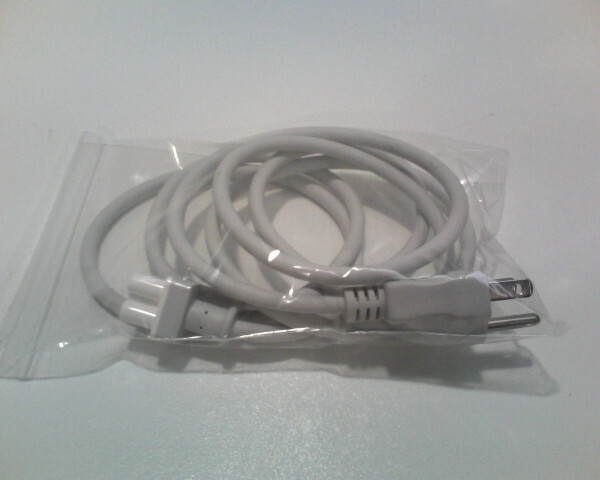 Original US molded mains cable for the iMac G4 range. This is a white "clover leaf" connector set in a curved block which fits the curve if the iMac base giving the impression that the cable is hard wired and is unique to this range of Macs. This is a used, tested part from a recycled iMac G4.